Davis will have influential supporters, at least behind the scenes, because there are those who like �dealing out of the public eye�. That is not a culture that needs to continue. Oconee County needs a change in leadership. I believe Chuck Horton can provide that leadership. Well, Chairman Davis did not take AVOC’s advice and retire gracefully. AVOC is not surprised considering the incumbent’s love for publicity and ‘photo ops’. Many folks hoped he would retire and let new people and new ideas take over. Chairman Davis likes to be able to “do the deal in the corner office”. Despite the local media ignoring it, it has become widely known that Davis does not like his board and key staff. His modus operandi is to keep them in the dark. 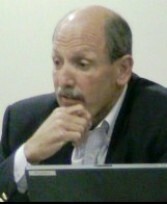 That track record is the motivation behind the Board’s reorganization by the 4 Members on August 5, 2009. It would not have been necessary if Chairman Davis had not usurped so much power of the Board. Commissioner Horton pledges to be more open and to work and inform the Board of matters that impact the county. ….’Davis countered that he isn’t always able to tell commissioners what’s happening because he isn’t free to do so. “I will never expose what individuals have expressed to me in confidence,” Davis said.’………. 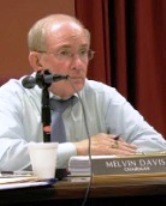 Mr. Davis has campaign signs saying, “Continued Progress”. His memory and voters’ memories may be at odds. 4. Switching priorities of the Oconee Connector and the Mars Hill –GA 53 improvement demonstrated a lack of vision. We now have four-lane traffic dumping into a two-lane county road system. It will only get worse with development of the mega shopping center. Davis will have influential supporters, at least behind the scenes, because there are those who like ‘dealing out of the public eye”. That is not a culture that needs to continue.Oconee County needs a change in leadership.I believe Chuck Horton can provide that leadership. Davis and Horton squared off on whether commissioners, including Horton, should have removed the chairman’s power to run the county government’s day-to-day operations in 2009 and given those job responsibilities to the county administrator. “In my humble opinion, I think that’s a decision the public should’ve made,” Davis said. Horton disagreed, telling the audience, “You people elected the county commissioners to do your work.” Commissioners had tried to resolve communication issues with Davis for years, but couldn’t get anywhere, he said. Removing the chairman’s day-to-day power has helped the county run better as a team, he added. Davis countered that he isn’t always able to tell commissioners what’s happening because he isn’t free to do so. “I will never expose what individuals have expressed to me in confidence,” Davis said.